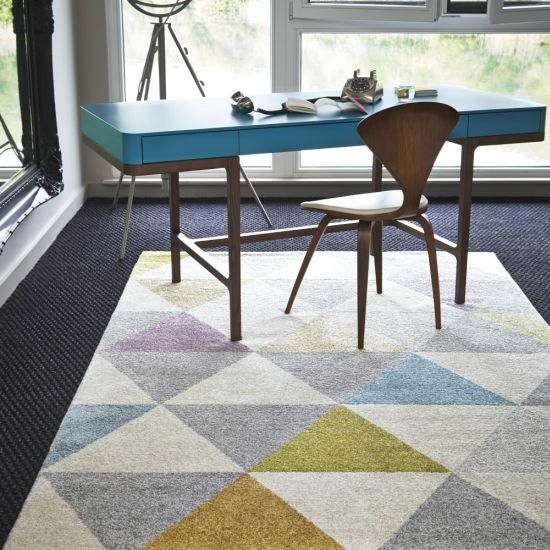 When decorating a home, there are many prescribed rug rules to follow. However, none of them are written in stone and virtually all can be broken under the right circumstances. This can make choosing rugs both liberating and confusing. Before taking a closer look at some rooms commonly in need of area rugs, let’s review the five steps to choosing the right rug. Are you dealing with a large open area? A smaller, confined space that is walled on all sides? Is it a room for relaxing or a showpiece for guests? Answering these questions will help determine the design direction of your rug. Generally, no matter the size of the room you’re shopping for, it can accommodate a larger rug than you might think. If the room will be filled with furniture you already own, you will most likely want to choose a rug with a more subdued design. Because floors take so much of the eye’s attention, a competing pattern will be garish and disrupt the look of the entire room. A solid color taken from an existing piece or a neutral are the better choices. On the other hand, if you’re starting from scratch with the room, it is an opportunity to buy a lively, patterned rug. The, complement it with new furniture that draws inspiration from colors in the rug. Faux fur might be tempting in its whimsy, but is usually impractical in high-traffic areas. Silk has sheen and sophistication but is expensive and not as durable. Polyester is strong, easy to clean, and can be made to look any number of ways, but it won’t impress your friends. Sisal stands up to heavy use, but can have more of an outdoor look. Perhaps the most overlooked aspect of rug-buying is the texture. The smoothness or ruggedness of a rug can complement or contrast the furniture in a room. Rustic rooms get a touch of contemporary class from a Persian-inspired rug. Elegant spaces can be made more inviting with a floor covering that is rich and sumptuous, beckoning guests to stay a while. 5: To Layer or Not to Layer? A rug sandwich, is it twice as nice or too much of a good thing? Most often, the technique is used to allow a large neutral rug to do the heavy work of adding depth and comfort to a room, while a smaller piece on top with a blast of color or pattern injects life into the space. It is also a good way to show off heirloom rugs that might not be the correct size for contemporary homes. 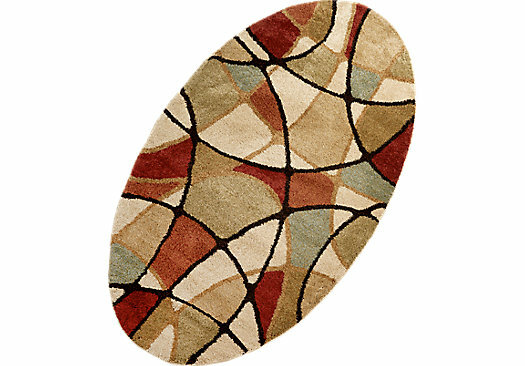 Artfully place them over top of a larger neutral rug. Note that this works best when both rugs are tight weave and low pile to avoid trip hazards. Choosing a dining room rug size comes down to more than simple aesthetics. It must be large enough so guests can slide their chairs out without falling off the edge and also slide back in without the rug buckling under the chair legs. It is advised that dining room rugs have an additional 24 inches of space on each of their four sides. To figure this, place the number of leaves you plan to use most often in the dining table, then measure the tabletop lengthwise and across. Add 48 inches to each of these two numbers to get your rug dimensions. Also remember that shorter pile and easy-to-clean materials are a must. Deep pile makes chairs hard to move and traps every crumb. The high probability of spills and stains makes delicate and expensive fabrics out of the question. Do living room rugs need to be big enough for every piece of furniture to sit comfortably on top? Is it okay if only the front legs of couches and chairs rest on the rug? Can the rug be its own island, with the coffee table on top but nothing else touching it? The answer to all of these questions is yes, which shows you just how arbitrary rug rules really are. In the end, what matters is your personal taste. If it looks good to you, go for it. However, there is one rule that stands the test of time. If you are considering getting a rug large enough to cover the whole room, leave 18 inches of bare floor all around the outside edge. Even this rule has an exception, though. For smaller rooms, it’s acceptable to leave only eight inches of space. With queen and king beds, bedroom rug should be large enough to extend beyond the sides by 18 inches. For twin and double beds, this can be 12 inches. It is best that the entire bed fit on the rug, although nightstands don’t have to. If you can’t afford a rug large enough to fit the entire bed, consider getting a bedside rug. These look best on the floor next to a bed that is positioned closely to one wall or in a corner. Rounded shapes work well in this situation because they contrast the squareness of the room and bed. For even more info on choosing the perfect rug and a fabulous selection of pieces for any room in your home, visit Furniture.com.